If your skin is starting to show the first signs of aging with a few fine lines, and a loss in definition and softness, then the best selling Clarins Double Serum might just be your perfect solution. More youthful looking skin in just 4 weeks. Enhances radiance and softness of your skin. Contains 20 pure plant extracts and potent high-tech molecules. Suitable for normal, dry, combination or oily skin. Contains butylene glycol and propylene glycol. The Double Serum’s development has been inspired by the skin’s natural hydrolipidic skin barrier, based on the delicate balance between oil and water in our cells. The Clarins Double Serum is an anti-aging facial serum that uses a patented system that keeps that Hydric and Lipidic ingredients separate until applied to your skin. Clarins believes that this new delivery system helps to give your skin the same amount of ingredients with every application, maximizing the results. After 7 days, 89% of women said that their skin looked more radiant, 81% that their fine lines had diminished, 86% felt that their skin was firmer, 86% also said that their skin appeared younger looking and 87% said that the effectiveness of their other skincare products was boosted after using Clarins Double Serum. 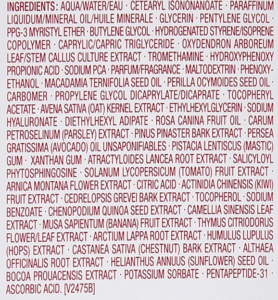 What are the ingredients in CLARINS Double Serum? The CLARINS Double Serum comes in a 1oz (30ml) pump action bottle and whilst it contains 20 botanical ingredients, Clarins heavily feature only three – kiwi fruit, great burdock and arnica. If you look at the list of ingredients below however, you will see that this facial serum also contains sodium hyaluronate, which is a low molecular weight form of hyaluronic acid. This is the wonderful, because the low molecular weight hyaluronic acid penetrates your skin much better than other forms, delivering a pulse of hydration down into your cells where it is most needed. FYI: This serum contains mineral oil, which can irritate some sensitive skins. The lower the weight of the hyaluronic acid, the easier it is for the molecules to penetrate your skin, delivering a super burst of hydration to your cells. Hyaluronic acid is a wonderful ingredient in your skin care routine, because it not only hydrates your skin, but it also stimulates the growth of collagen as well. Initially known as the Chinese Gooseberry, this lovely little fruit is the national fruit of China. 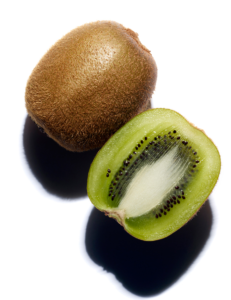 Adopted by New Zealand and renamed Kiwi fruit, it is jam packed with vitamin C, which is a powerful antioxidant and helps to revert the signs of aging in your skin caused by free radical damage. 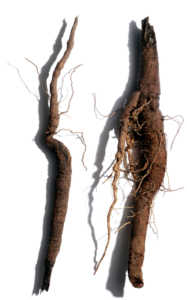 Great Burdock is a powerful detoxifier and antioxidant and has long been used in Chinese Medicine for its healing and anti-inflammatory properties. It is said to help heal acne, dry skin and eczema, as well as being a natural anti-bacterial and anti-fungal agent. 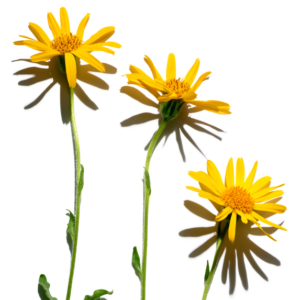 Long known as a natural remedy for bruises, arnica is also very soothing and is used for its anti-inflammatory properties, as well as a nourishing agent for your skin. 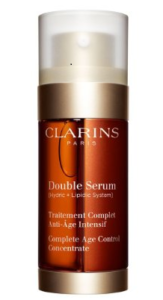 How do you use the CLARINS Double Serum? 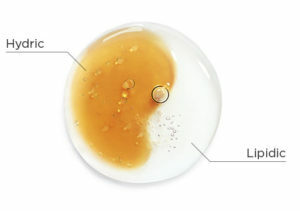 When you press the applicator the two different serums need to be mixed gently between the palms of your hand. So cleanse your face and pat it dry, then mix the serum together and gently massage it into your skin. You can use the Clarins Double Serum morning and night and apply your favorite moisturizer afterwards. 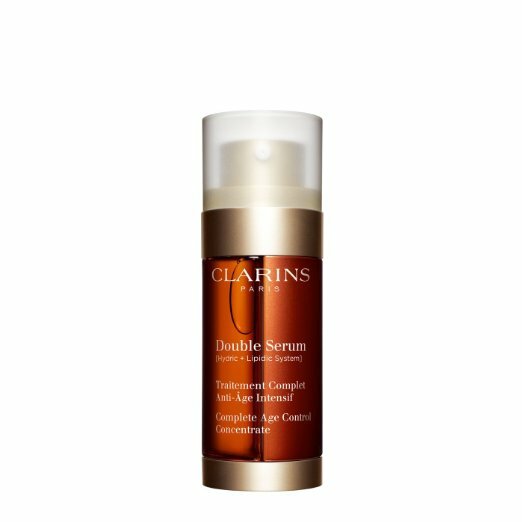 What do customers think about CLARINS Double Serum? The vast majority of online customers love this anti-aging serum, in fact many say that they can’t live without it! They love that it makes their skin feel soft and supple, doesn’t clog their pores and is a lot cheaper than in the stores. I cannot live without this product. What a difference it makes. This product made my skin feel supple. I highly recommend it. The best serum I’ve used. It absorbs quickly and leaves my face supple and younger looking without clogging my pores. My wife has used this before and loves it. it lasts a long time too. I have used this project for several years and find that it adds to the moisture in my skin as well as a softer look. This stuff is amazing. I’m 61 years old and people always complement on my radiant skin. Yes I love Clarins double serum . Have been using for few years. I do see a difference in my face. Less expensive than in stores. Most of the online reviewers absolutely love Clarins skincare products and the Double Serum is no exception. With lots of potent botanicals and a patented delivery system, this anti-aging serum promises to reduce fine lines, plump up your skin and give your complexion a more youthful appearance. It is definitely worth a look, but you might need to treat yourself as it is a little more expensive than many of the other serums I have reviewed. Read more Featured Reviews here.